It’s no secret that we love our coffee in this house. Our mornings always begin with a fresh cup of hot coffee regardless of what the day ahead of us holds. Coffee is familiarity, love, and coziness all wrapped up in one delicious cup. Recently, we switched from our old coffee maker for the Braun BrewSense 12c Drip Coffee Maker with PureFlavor System with LCD Display. Featuring a clean-cut design and a stainless steel and black finish it fits perfectly with our kitchen décor. With the ability to brew up to 12 cups of coffee the unique flavour carafe and PureFlavour technology ensure a fresh and perfect cup of coffee from the first cup to the last. 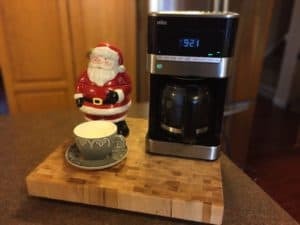 One of my favourite features is the 24-hour programmable option, which you can program the Braun BrewSense Drip Coffee Maker to start brewing by it. A definite time saver when you’re running around making sure that all your kids have socks and underwear and you know you need that first cup of coffee. Want to add a little bit of spice to your coffee? Try adding 1 tsp of ground cinnamon to your coffee grounds. 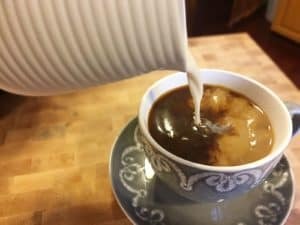 It adds a subtle cinnamon flavour to your coffee and tastes good by itself and also pairs well with cream and sugar. 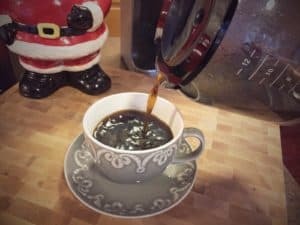 With just 2 more shopping days left to shop for Christmas, the Braun BrewSense Drip Coffee Maker would make the perfect gift for the coffee lover in your life. This was very timely! 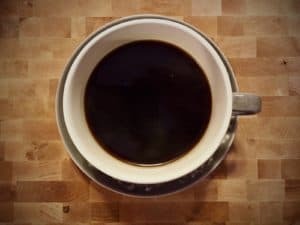 Our coffee maker quit this weekend and the husband drinks a bucket of coffee every day!